Two buzzwords/phrases that have seemingly been on the video games industry's horizon for about a decade now - streaming and Netflix or Spotify-for-games. Streaming in games, arguably, came about with OnLive, announced at GDC 2009 with a rollout in June of the following year. For a set monthly fee, users were able to stream big titles directly to their OnLive box. Despite some substantial investments from communication networks like AT&T in America and BT on this side of the pond, this iteration of the scheme was doomed to fail simply due to internet speeds at the time not being fast enough to support the fancy graphics and speedy response times required for triple-A games at the time. OnLive relaunched in 2014 before going bust the following year. The tech still lives on though, with Sony snapping up IP and assets for its own PlayStation Now platform built following the purchase of streaming service Gaikai. PlayStation Now currently leads the streaming market in terms of revenue - according to research from SuperData - claiming 52 per cent of revenue spent in Q3 2018 on streaming platforms. But that could all change in the near future. Like EA CEO Andrew Wilson has said, subscription services and streaming represent a massive "disruption" in the way media is distributed and consumed. Both Xbox and EA are already in the subscription service space with their respective Game Pass and Origin Access offerings, but both have recently announced Project xCloud and Project Atlas schemes. Both have defied expectations by actually getting the Netflix-for-games model to work. What started in 2014 as two companies trying to find a way to monetise their back catalogues has swiftly moved to two of the biggest companies in PC and console games offering their latest releases on these platforms on the same day as they launch in store. Xbox started this with Rare's pirate romp Sea of Thieves - with third-party content receiving the same treatment - while EA revealed at E3 2018 that it was going to start launching its biggest titles like FIFA, Battlefield and the upcoming Anthem on the same day as it launches with Origin Access Premier. It's a competitive offering and a sure sign that subscription and streaming services aren't going to be vague promises on the horizon - they may just be the way things are done moving forwards. Microsoft's Phil Spencer revealed at E3 that the firm is working on tech that allows 'console quality' streaming to any device - with the software giant announcing Project xCloud to this end only recently. Conversely, EA purchased streaming start-up GameFly earlier this year, with the firm hinting at E3 that this tech would become part of its Origin Access offering in the not so distant future. Shortly after Microsoft announced its cloud offering, EA revealed Project Atlas, a scheme that seems designed to not only help distribute games, but help them work, too. Honestly, it all sounds much like Improbable's SpatialOS offering. That firm is certainly one to watch in the coming years, too. Those aren't the only big players getting into the space. Google recently rolled out a test of its Project Cloud scheme. The tech giant has teamed up with Ubisoft to allow beta testers to play Assassin's Creed Odyssey from their Chrome browser. It's not the big names of tech and games that are getting in on the action. French start-up Shadow has launched its impressive Blade service. This one's a bit different; rather than users subscribing and paying a monthly fee to access games, Shadow's offering has consumers accessing an entire PC. The tech is available in a box - essentially an APU to send and receive data - or via a phone app, which is certainly a step in the direction that Microsoft is heading in. With 5G mobile data set to launch in the not so distant future, being able to play a top-of-the-line triple-A title doesn't seem quite so impossible. Designing a game that can be played on any platform, however, might be an issue. There's no doubt that streaming and subscription models are not only going to become the norm in the not so distant future for games. This comes with its own pros and cons. On the plus side, it'll make games available to a wider array of people. When you have to pay $10 a month and get access to a huge variety of projects, that's certainly an enticing offer to consumers. Though discoverability could well be an issue with such a platform, the more people that are using a service the more chance there is of your game being played. Xbox's Spencer has said that featured Game Pass titles see increased sales, for one, highlighting how important it is for these platforms to help out projects. But streaming and subscription services come with their own set of challenges. For one, the way we measure success is going to have to change. Firms like Microsoft, for example, keep announcing impressive launch user figures for its first-party line-up, including Sea of Thieves, State of Decay 2 and Forza Horizon 4. But these figures include Game Pass customers. So someone who has just downloaded the game and booted it up once - maybe as part of a free trial - would be counted the same as someone who has somehow put one billion hours of gameplay into a title in the first day of launch. Though the same is true of 'traditional' releases, subscription services muddy the water somewhat in terms of judging just how well a game is performing. This is something that the music industry has had to adjust to with the recent inclusion of Spotify data in the UK charts. But video games is going to be a different kettle of fish to the music business. Ultimately, one of the reasons that we haven't seen a comprehensive streaming offering in games - as we have in music, film and TV - is that our market hasn't reached a tipping point, yet. Where piracy all but destroyed those other industries, forcing them to agree to a situation where they were making at least *some* money off the back of their IP, video games is still a growing industry and, despite piracy still being an issue, it isn't losing huge amounts of money to bad actors. It's going to be a while before we see an all-singing-all-dancing Netflix or Spotify-for-games business featuring pretty much all the content from all the publishers you could want. Xbox's Game Pass is certainly a step in that direction, but for the time being it's likely that what we'll end up with is a more fragmented approach, much like how the current streaming market is headed with firms like Disney setting up their own platform. Either way, streaming and Netflix-for-games soon won't be terms that appear in press releases and make journalists want to add some whiskey to their coffee at eight in the morning - soon they'll be how we are playing everything. You can keep up to date with the trends, tech and news that is going to affect the PC games market in the coming years via PCGamesInsider.biz and our upcoming event, PC Connects London 2019, which is taking place on January 21st and 22nd. Early Bird tickets are available now with a 20 per cent discount and can be bought here. These grant access to not only PC Connects London 2019, but our sibling events Pocket Gamer Connects London and Blockchain Gamer Connects London. Buy now to save big! 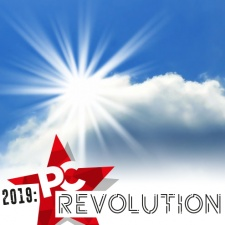 We're still on the hunt for speakers so drop me a line at [email protected]edia.co.uk if you want to be involved with the show, or if you want to add your voice to the PC Revolution here on PCGamesInsider.biz. Complimentary events or media outlets interested in a media partnership are welcome to contact [email protected].